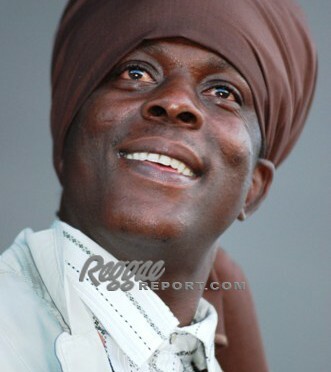 August 14, 2008 – San Francisco, CA – On August 1, 2, and 3, 2008, the 2nd Annual Reggae Rising Festival took place in the Redwood hills of Humboldt County, northern California. Twenty thousand-plus Reggae fans united for a weekend celebration of music, nature and Jamaican Rasta culture. A dedicated group of organizers plan all year for California‘s biggest Reggae show, staged along the tranquil banks of the Eel River. 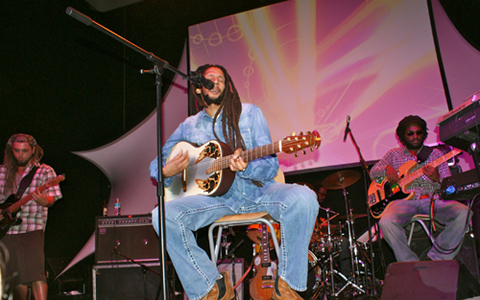 The second annual staging of Reggae Rising continues a long tradition of Reggae music. Each year Reggae Rising, once known as Reggae on the River, can boast that its annual line-up is packed with international talent. This year’s line-up was no exception, featuring such artists as Sizzla, Gentlemen, Sly and Robbie, UB40, Beres Hammond, Junior Reid, Mr. Vegas, Cham, Turbulence, Tanya Stephens, Etana, and Collie Buddz, to name a few. Local bands included The Lion Camp and Jah Sun, while Detour Posse backed the Saturday series of Dancehall artists. Friday afternoon featured Mr. Easy, Cham and Tanya Stephens, the only female in the male-dominated roster. 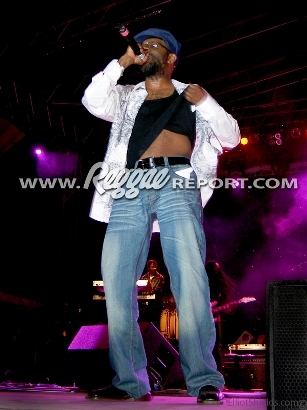 Friday evening saw Beres Hammond deliver a breath-giving two hour performance.The veteran Lover’s Rock singer kept the energy of his set so smooth that new fans could visualize how many amazing songs he actually has recorded. Closing Friday night, the UK’s UB40 followed with a real Caribbean vibe not to be messed with. 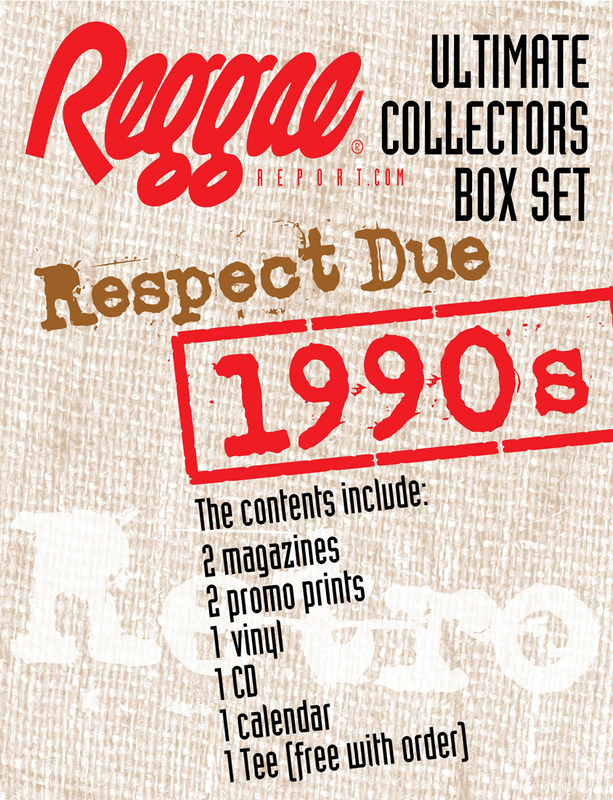 Even without vocalist Ali Campbell and trumpeter Astro, the solid musicians of the classic group made for a real Reggae experience. The weather and the energy stayed hot through Saturday, which saw Mr. Vegas and Lexxus bringing an authentic Jamaican Dancehall sound. 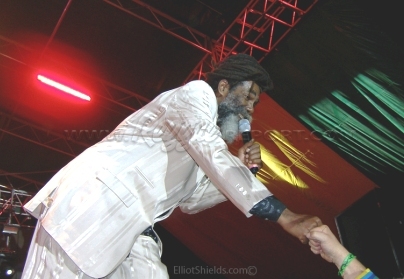 The evening saw Junior Reid performing in front of Sly and Robbie, Reggae’s riddim backbone and huge contributors to the overall heavyweight Reggae sound. Original Black Uhuru member Don Carlos made an early appearance along side Reid to perform “General Penitentiary” and got the crowd even more hyped. Closing Saturday was the current wave of Bobo Ashanti Rastas headliners, and great performances were turned in by Turbulence, Sizzla, and the Firehouse Crew. 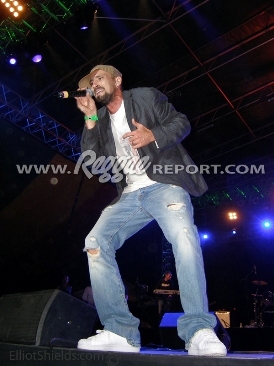 Both showcased a huge hybrid of roots Reggae and thunderous dancehall anthems. Sizzla, often labeled for his often bad language and socially unaccepted lyrics, brought a refreshingly positive and Irie performance. 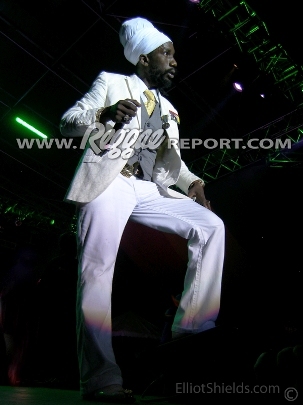 Sizzla stuck to roots and culture tunes, and it seems that that was what the largest crowd thus far wanted to hear. Bermuda-born Collie Buddz came around on Sunday, bringing his New Kingston Band. 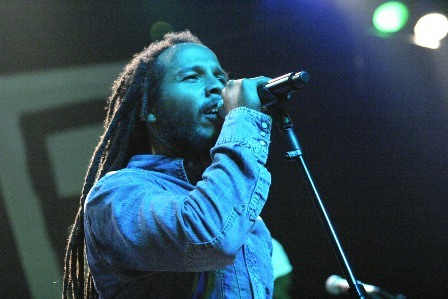 His second appearance at Reggae Rising surpassed last years, and his energetic performance and driving beats drew a large and enthusiastic crowd. The fired up closing night audience was ready for Julian Marley, who has been making a huge boom in northern California. Julian and the Uprising Band gave a subtle, cool performance of his father’s hits, as well as from his own list of original songs. Approaching the close of three great days of music, Germany’s Gentleman took the stage. Along with the full Far East Band, he delivered an unforgettable sunset performance. 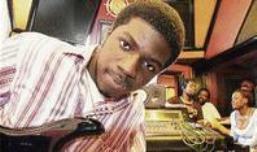 His now classic tunes were a smooth blend of Reggae songs and dancehall steppers riddims. The Far East band was perfectly arranged, full of rhythm and harmony, a great horn section, and featuring more female musicians than you usually see. Don Carlos then came on with another real Rasta message and played a whole set of roots anthems. His sound was so eloquently voiced that the crowd could relate to the niceness he delivered. Bringing out Junior Reid for a second encore, this show was over top, and allowed the Rasta elders the proper time to close out the festival. they were poorly executed. The slide presentations, which featured the superb photography of San Francisco’s Lee Abel, were inadequately projected, and the sound inaudible. Lucky Dube, who would have celebrated his 4th birthday on August 3, performed at Reggae on the River a record six times. Those fortunate enough to have witnessed his outstanding performances will hold him in our hearts forever.